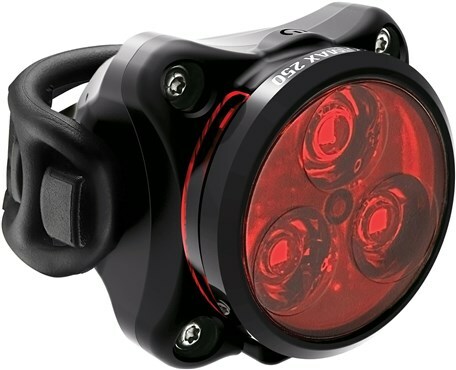 Ride safe with the high quality Lezyne Zecto Max Drive rear bike light. 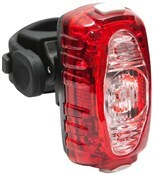 This compact and very visible rear light produces up to 250 lumen which is very bright for a rear bike light. An optimised design ensures the Zecto Max Drive has great side visibility to enhance your presence at junctions and crossings. Th Zecto Max is ideal for daily commuting thanks to easy USB charging via any USB port. 8 brightness modes give you lots of flexibility in how you choose to light the way home. 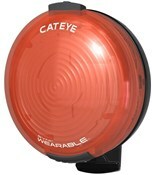 Three LED system produces up 250 lumens in Daytime Flash mode. Durable composite matrix construction featuring a machined aluminium faceplate. Patented versatile 2-in-1 clip and strap mountain system. I bought this light for use during the day and liked the 125 & 250 lumens function. Really happy with purchase and very bright. Spendy product, well built (not plasticky) but charging is difficult as port is deep within the body, and rubber closing thingy not easy to operate. It further is not liking many other charging cables while it is the same connector. Mine stopped working after about 6 months due to dirt / water in the charging port. This was a great light until it stopped working. I returned it under warranty but apparently the failure was due to water and dirt ingress in to the charging port. Naturally I believe that I always carefully closed the port with the rubber bung, although it is quite fiddly to do properly. At this point I am questioning the wisdom of a charging port on the bottom of a rear light where it is bound to take the full force of dirt and water from the rear wheel. Overall I cannot recommend this product. I'm impressed by the brightness, cars seen to give more space when passing. The on/ off switch can be a bit fiddly to operate sometimes requiring a really hard press. Excellent product. The light can be seen from miles away, even in daylight. Easy installation and operation. Highly recommended. A quality product at a great price from Tredz. I was very impressed by customer service who called to mention a slight delay in delivery. I'm so impressed by this company I'm looking for opportunities to buy something else. Well done team! !